Very low engine hours. The engines look to be in great condition. Professional service every year plus preventative work undertaken. She is due for new outdrive 'bellows' this year. The legs are the well - proven 'Bravo 3' units. She is lifted, serviced, anti fouled, inspected and polished every year. Boat is surprisingly spacious inside with space for 6 adults when the saloon seating is converted with the infill. She is a veritable "tardis' down below. 12/4/19 - SPRING REFIT TO INCLUDE - NEW EXHAUST RISERS, NEW OUTDRIVE 'BELLOWS', ANTIFOUL AND POLISH AND WAX. OVER 15,000 SPENT, Please call to view! This is a one owner since new boat and you can see as soon as you look around her that she's been well cared for. Very light family use, she has been lifted antifouled and engines serviced annually. She has great accommodation space for a 9 metre boat with full facilities, on deck and below. She can also come with continued rental on her berth by arrangement with the owner if so required. 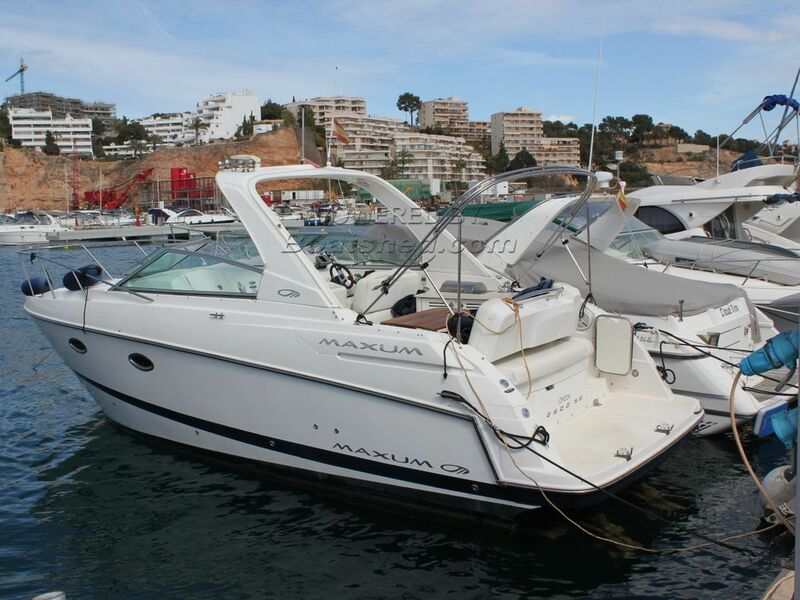 This Maxum 2900 SE has been personally photographed and viewed by Rory Gillard of Boatshed Palma. Click here for contact details.